NEWMAN only use the Grade A fruits as Raw Material. Apricot is native in China since ancient time. NEWMAN only use Grade A Apricots from Shandong,Hebei, Liaoning, Beijing of China. Apricots grown in these regions are in attractive yellowish color, nutritious, naturally sweet and juicy. All fruits are sorted manually in strict procedures for choosing ripe Grade A and good appearance raw material purpose. We never use defective raw materials. Lock the freshness and fruity faint scent in every bottle! NEWMAN only use Grade A fruits as raw material. 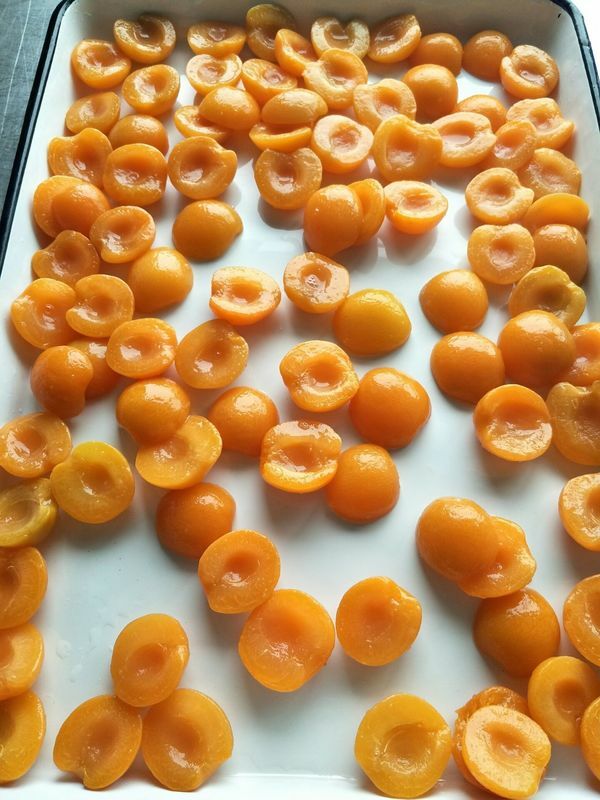 All the apricots are sorted in strict and multiple procedures. 100g Fresh apricots are composed of 11% carbohydrates, 1% protein, less than 1% fat and 86% water. Apricots are a moderate source of vitamin A and vitamin C.
Nature put the goodness in apricot; we put it in every bottle! We are factory that specializing in processing and sales canned fruits. Certification BRC,FDA,ISO-9001 . Sand soil and better sunney is good for the fruits.